Kanye West‘s trip to one of L.A.’s most expensive stores on Black Friday might’ve been more of a genius marketing plan than him getting an early start on his Xmas shopping. ‘Ye dropped by Maxfield’s in West Hollywood, and although he came out empty-handed, it didn’t take long for people to notice his kicks. 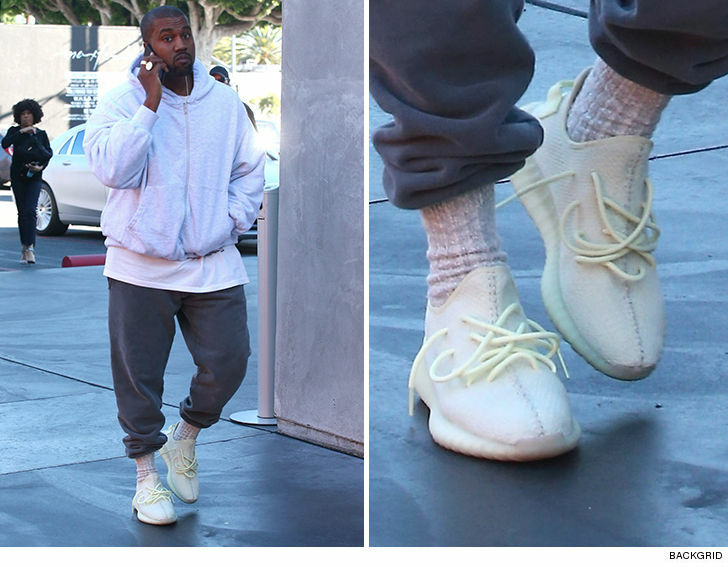 They appear to be a pair of Yeezy Boost 350s, but in a never-before-seen florescent yellow colorway. Unclear if they’re a one-off prototype or if they’re from Yeezy’s next season/collection, but he recently dropped a pair of kicks called the Wave Runner 700, which had similar color laces. Yeezy’s usually retail for around $300 … until they sell out, so better start saving up.